The mission of Information Technology Services (ITS) at Landmark College is to provide leadership in the planning and management of college-wide technology-related services and resources, in order to facilitate the effective use of assistive, instructional and administrative technologies and to plan, manage and grow the technology infrastructure in support of college needs. ITS provides a robust and personalized range of technology services and resources to students, faculty and staff. The Help Desk staff are a skilled, friendly team rich in patience and humor. We will work with you until we reach a resolution for any technical problem you need to solve. The Help Desk is located on the 2nd floor of the Library. We are open Monday through Friday, 8 a.m. to 5 p.m. Stop by, or contact us at x6800, or 802-387-6800 off-campus, or techsupport@landmark.edu. The Help Desk is staffed by certified Lenovo ThinkPad technicians. 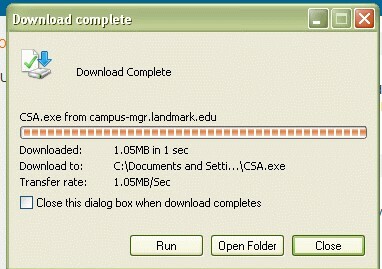 Necessary repairs on a Landmark student’s notebook purchased through the Landmark College Student Computer Package (see below) can be performed in-house, with typically a quick (24–48 hour) turnaround time. Should a notebook purchased through the program need to be left at the Help Desk for troubleshooting or repair, a loaner notebook can be provided, so you can get back to work immediately. If you bring a personal Lenovo ThinkPad with an accidental damage warranty, the Help Desk can repair your machine, but is unable to offer you a loaner notebook. If you bring a personal computer, the Help Desk is unable to offer any hardware repair work on campus as we are not certified to work on other machines. In the event that you need repairs, you would need to work with the manufacturer. For Macs, there is a local company, Brown Computer Solutions 802-251-0479, which is an Apple Authorized Service Provider in Brattleboro, Vermont. Are new students required to purchase a computer through Landmark College? The Lenovo Yoga computer package is provided at a discounted price. This package ensures that the student’s academic technology needs in and out of the classroom are met. The computer is fully supported onsite by our Lenovo (IBM) Certified Staff, allowing quick resolution of any problems, and students receive a loaner computer while repairs are made. View details, including pricing, in the Computer Package Flyer. All students who deposit will receive the Computer Package unless exception has been approved. Computer will be ordered and set up by Technical Support Services. Computer will be delivered to student at New Student Registration. The cost of the Computer Package will be billed to the student account. Lenovo computers are fully loaded and include all software needed to meet the academic requirements at Landmark. With ThinkPad Protection Plan Accidental Damage Coverage, repairing damage caused by spills, drops and other accidents is covered at no additional cost to you. The cost of the computer package will be billed to the student account as a computer fee. Additional loan funds are available to assist families with the cost. Please contact Financial Aid at financialaid@landmark.edu or 802-387-6718. Required software will be pre-installed on the computer and the cost will be billed to the student tuition account as a software fee. Once installed software can’t be returned or refunded. All required software will be pre-installed on the computer and the total cost will be billed to the student tuition account as a software fee. Once installed software can’t be returned or refunded. Kurzweil 3000 and Dragon Naturally Speaking can be purchased and installed upon request at the Help Desk, and the cost will be billed to the student account or paid with credit card. Once installed software can’t be returned or refunded. Students will receive their computers during Student Registration when they arrive on campus. 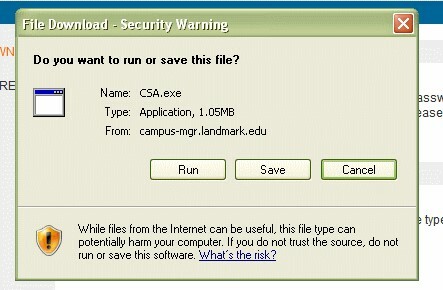 Once students take possession of their computers at registration, the College is not able to accept returns or provide a refund. Students who plan to apply for an exception should understand that their current computer must meet the following requirements or their exception may be denied. If you feel your computer meets the following requirements, please complete the exception form at the link below. If your exception is approved, you will not receive a Landmark Computer Package at registration. You will be required to turn in your computer at Student Registration so that Microsoft Office 365 Professional Plus and network client with campus printer software can be installed prior to registering your computer for network and Internet access on campus. You will be able to fill out an exception form through the Student Central Onboarding Portal once you have been accepted. All personal computers must be registered before internet access is granted. Students will be asked to turn in their computers for registration when they arrive on campus for Student Registration. If a computer does not meet the minimum requirements, it will not be registered and no network or internet access will be granted. Students who receive an approved Exception and bring their own computer will be responsible for repairs through their computer manufacturer. Accordingly, with the limited exception of connectivity issues, software installations, viruses, and spyware cleanup, any problems with personal, non-Package computers are the responsibility of the student. ITS will not violate warranty conditions that are set by the manufacturer to troubleshoot or repair these notebooks. There are computer repair shops nearby that can assist students who brought their own computers. Landmark College technicians are Lenovo-certified and are able to offer repair and troubleshooting services to students with these computers. Can I register my game console? Yes. You will need to plug your console into the wall with a network cord and send techsupport@landmark.edu an email with the hardware MAC address of the wired network adapter. We will email you when it is registered. How do I find the physical or MAC address on my game console? To obtain the MAC Address from a Nintendo DS, you must first insert a Nintendo Wi-Fi Connection compatible game and access the WFC Setup Utility. 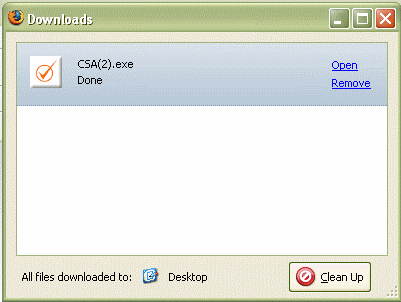 Please note that the exact steps to access the setup utility vary by game. However, the setup utility is a standard menu, included with all WFC-compatible games. Once it has loaded, select “ISP Setup” and press X on your controller. The ISP Setup will begin to load, and you will be presented with a license agreement. At the “Advanced Broadband Settings” screen, make sure “Automatic” is selected. While you are at this screen, make note of the MAC address at the bottom. Some of the PS2 games also have the ability to list your MAC address, but the above steps are the C&IT Help Desk’s preferred way of finding the MAC. The 12-digit number at the bottom-right corner of the Network Settings screens is the MAC address of your Xbox console. Do not change your Xbox console MAC address, just write it down and call us. From Additional Settings, select Advanced Settings. At the bottom of this screen you’ll see a heading called Wired MAC Address. What devices can be registered? Laptop and desktop computers, smart phones with wireless access, iPads and other tablets, and eReaders such as Kindle, Nook, etc. can be self-registered. If you need help registering a device, please bring it to the Help Desk on the 2nd floor of the Library. How do I register my computer or other wireless device? To register your computer, just connect to “LANDMARK” wireless or connect your computer to the network via an ethernet cord. Once you have done so, just open up a web browser and follow the instructions to register your computer on the network. You must have updated antivirus software on your computer before registering. Plug your network cable into your computer and the wall jack or connect to the Landmark Wireless Network. When the download is complete choose run. The process will run and a web page will open when the process has completed. The process can take up to 5 minutes so please be patient. In order for your computer to pass registration, you must have a current and updated anti-virus program on your computer. While Landmark College recognizes the value of Apple computers, it does not provide technology support for them. The College offers extensive computer and assistive technology support that is often critical to students’ academic success both in and out of the classroom. To provide this level of support, and to maintain software consistency and availability, the College’s current policy is to standardize on a Windows-based platform only. Students who bring an Apple computer to campus can register for Internet access. Where do I get support once I leave Landmark College? We offer Landmark College alumni the ability to purchase assistive technology software at significantly discounted rates. Purchases may be made through the Landmark College Bookstore. Buying a computer? Camera? Printer? We have partnered with GovConnection to extend discounted pricing to Alumni, Family, and Friends.